In addition to food, music and brews, this week's WVXU "Do" List features art, paddles and plenty of opportunities for sun- and bird-watching. Stanbery Park (2221 Oxford Avenue) offers up some "Friday Night Fun," with a performance by The Generics starting at 6 p.m.
DJ Diamond plays First Friday at Fountain Square from 7-11 p.m. The 2018 Price Hill Creative Community Festival, a free event celebrating performing arts and the neighborhood, kicks off at 5 p.m. Shows happen over the span of two days across four venues in East Price Hill. Find the performance schedule and locations here. Pyramid Hills Sculpture Park and Museum (1763 Hamilton-Cleves Road) begins to display "Chromatic Curves," a collection of paintings by artist Cedric Michael Cox. An opening reception takes place from 5:30-8 p.m. and your RSVP is requested. Cox's artwork will show through Sept. 14. It's Paddlefest! The largest paddling event in the U.S. enters its 17th year with a party at Schmidt Recreation Complex (2944 Humbert Avenue) starting at 4 p.m. Races start Saturday at 7 a.m. Learn more about Paddlefest by tuning into this episode of Cincinnati Edition. Grammy-nominated trumpet player Terell Stafford comes to the Kennedy Heights Center (6546 Montgomery Road) for a performance with the Dan Karlsberg Trio starting at 7 p.m. Tickets start at $25. New Orleans-based alternative jam band Cowboy Mouth plays Fountain Square starting at 7 p.m.
Miami Whitewater Forest (9001 Mt. Hope Road) hosts Bands, BBQ and Brews starting 5 p.m. The evening is exactly what it sounds like -- live local music, food and beer. Tickets start at $9 (without beer sampler) for adults; $5 for kids ages 2-12. Summermusik begins with a "British Invasion" of Sir Edward Elgar's cello concerto in E minor as performed by Cincinnati native Coleman Itzkoff. The performance starts at 7:30 p.m. at the School for Creative and Performing Arts (108 West Central Parkway). Tickets are $30; $10 for students and children. Adath Israel (3201 E. Galbraith Road) holds its second annual Kosher BBQ Cook-off, featuring 18 local barbecue teams cooking up brisket, chicken thighs and turkey breasts. 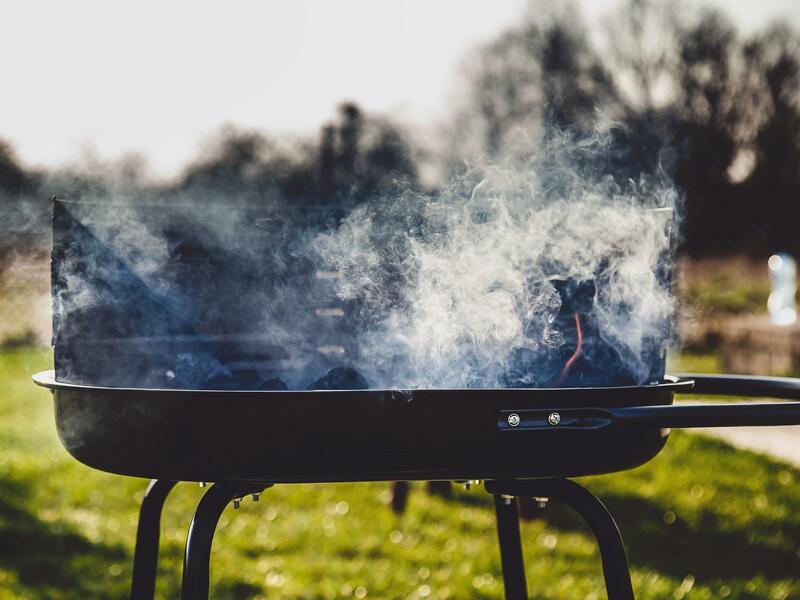 Things get cooking at 3 p.m. and will be supervised by the Cincinnati Kosher Vaad Hoier and judged by a panel from the Kansas City Barbeque Society. Admission is free; food and drink range from $1-6. Cincinnati Obervatory astronomer Dean Regas hosts "Sunday Sun-day Sundae" from 1-4 p.m. The free event features a short talk about the sun, tours of the historic building, safe viewing of sun spots and solar flares, and free ice cream -- while it lasts. Homage to a Sound and Other Short Films About Jazz comes to the Mini Microcinema (1329 Main Street) for free screenings of several documentaries about the style of music. Doors open at 7 p.m., with films starting at 7:30 p.m. Think mornings are for the birds? Then from 10-11 a.m., visit Sharon Woods (11450 Lebanon Road) for "Coffee with Birds," a morning (complete with coffee) spent spotting robins, cardinals and more with fellow bird-watchers. From 2-5 p.m., Shawnee Lookout (2008 Lawrenceburg Road) is holding an "Historic Buildings Open House," where you can tour a cabin built in 1795 and a two-story schoolhouse dating back to 1800. Think plays these days are too long? Come to the One-Minute Play Festival at the Know Theater (1120 Jackson Street), where -- you guessed it -- the nearly 40 shows are no longer than 60 seconds. The festival goes until Wednesday, and tickets cost $20.